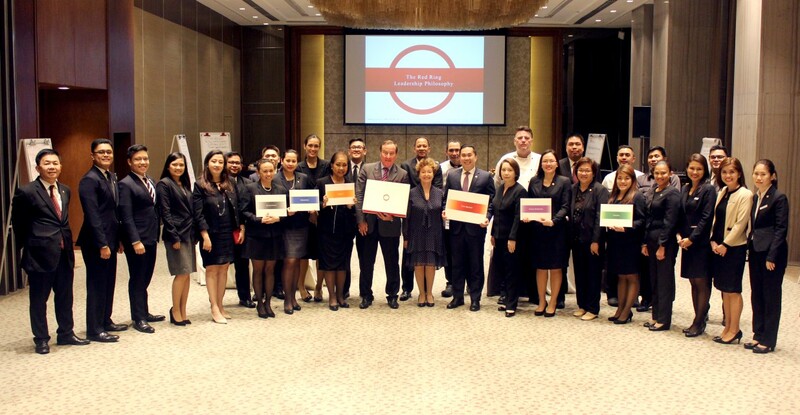 In a constantly evolving global marketplace where hotel groups have become more and more commoditised, the Red Ring Philosophy is a leadership road map that will help Wharf Hotels explore and develop opportunities for the long term sustainability of the company. Commoditisation has meant that the growing plethora of hotel brands cannot be differentiated other than on price, so the strategy is to be bold and seek alternative markets and initiatives that will develop new business streams for the company and its hotel operations. A compass that can guide management to lead teams into a more successful future, leaders are navigated through the Red Ring Leadership Competency Model to build a creative, results-driven, collaborative and agile culture. 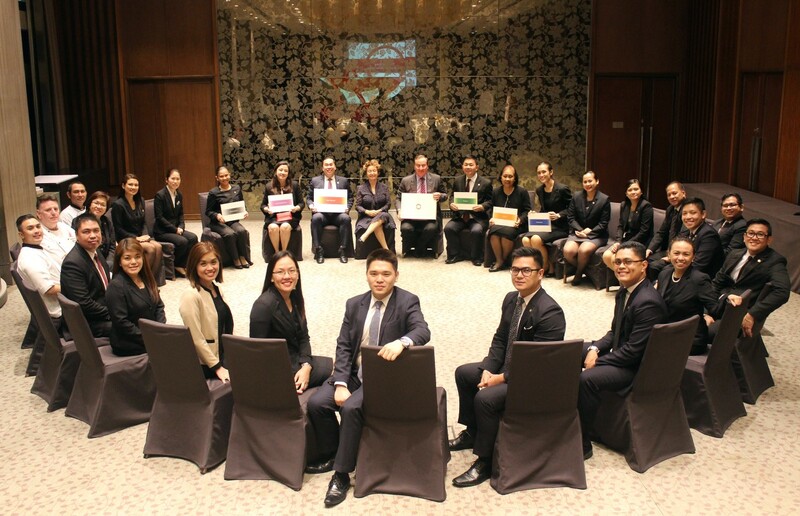 The programme has rolled out across all sixteen of the group’s hotels in China, Hong Kong and the Philippines led by its headquarters leadership team, with over 400 leaders being educated on its guiding principles and competencies: leading people, exceptional results, personal effectiveness and strong relationships. “The thought-provoking approach of our Red Ring Leadership Philosophy and its inspiring messages made it the most impactful program rolled out to our properties in 2017. Our leaders took the principles of LIVE BOLD, STAY SHARP beyond classrooms with Town Hall Meetings, team building activities, pre-shift briefings and problem resolutions based on the mantra of Red Ring. The 2017 Associate Engagement Survey results released last week have shown record-breaking engagement levels of our people since we started the exercise in 2010, highlighting the remarkable success of our concerted effort in driving loyalty and defining the right culture for our organization through a shared leadership mindset,” said Ms Juliette Lim, Vice President Human Resources, Wharf Hotels. Similar to the scientific structure of DNA, the culture of Niccolo and Marco Polo Hotels is inter-woven with Red Ring’s leadership philosophy to create a continuous, endless, seamless and timeless ring that enlivens the spirit to discover and travel. Both father and son, Niccolo and Marco Polo, the namesakes of Wharf Hotels’ two brands, were adventurers, travellers, entrepreneurs and connoisseurs of culture. They traversed the world unafraid to try new things and uninterested in convention. Wharf Hotels’ brand story follows the two Polos’ timeless journeys with the brands reflecting their courage, embracing the company’s unique culture resonating with the modern traveller. Just as Niccolo and Marco Polo did over 700 years ago, so do the leaders of Wharf Hotels, live bold. To know more about Red Ring and Marco Polo Ortigas Manila, visit www.marcopolohotels.com. Follow the Forbes Travel Guide Five Star Award Winner, on Facebook at facebook.com/MarcoPoloOrtigasManila or @MarcoPoloManila on Twitter or Instagram.